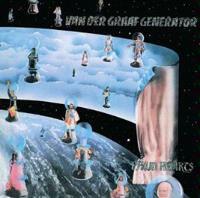 Pawn Hearts, the fourth album by the first incarnation of the seminal British progressive band Van der Graaf Generator, is the fullest distillation of the band’s multiple talents. Formed in 1967 at Manchester University, VdGG is perhaps best known as the band that first brought attention to Peter Hammill, vocalist, occasional keyboardist and guitarist for the band, whose voice has often been compared favourably to the multiple voicings and styles exhibited by guitarist Jimi Hendrix. With a voice that can shift from whisper to full throated scream within a single vocal phrase, Hammill’s voice exhibits all the range and diversity that has been a hallmark of Van der Graaf Generator’s career. Pawn Hearts, as released originally in their home country, was a three song affair, with the “shorter” tracks “Lemmings” and “Man-Erg” (each well over ten minutes in length) on Side A, with the massive 23 minute epic “A Plague of Lighthouse Keepers” filling all of Side B. In the US and Canada, the band’s recording of the BBC 1 theme, “Theme One,” was jammed onto Side A between the other two tracks. Released on Charisma Records in 1971, Pawn Hearts solidified the band’s growing fan base throughout continental Europe (in Italy, rapturous audiences would turn out for their shows, treating them much like visiting royalty; in fact, Pawn Hearts held the number 1 sales spot in Italy for 12 weeks on its release in 1971), while in their homeland, the band was somewhat less known. Following the release of this album and its accompanying tour, the band fractured for four years, Hammill recording a series of solo albums (often with support from members of the band) before resuming work as Van der Graaf Generator in 1975. Van der Graaf Generator’s sound, as mentioned previously, often seems somewhat overshadowed by Hammill’s vocal gymnastics. However, he was far from the only unique voice in the group. David Jackson (Jaxon to fans) provided wild and sometimes verging on unhinged sax and flute work; on stage, he would often play two saxophones at once, using circular breathing to give him the capacity to blow both horns with power and skill. Hugh Banton’s organ playing was somber and ornate, lending an almost church like feel to the material, while drummer Guy Evans excelled at deft, quiet percussive phrases, while also being able to hammer it out with the best of them. Pawn Hearts also featured the second guest spot by King Crimson guitarist and founding member Robert Fripp. 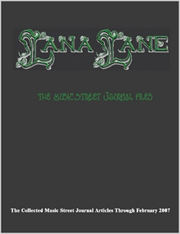 This review is available in book format (hardcover and paperback) in Music Street Journal: 2007 Volume 5 at lulu.com/strangesound. Opening with choked cymbals, ethereal flute and a subdued organ line, “Lemmings” introduces Pawn Hearts gently. By the time Peter Hammill’s voice begins to intone his poetry, any chance of respite is long gone, the listener is fully in the band’s grip. ”There is no escape except to go forward.” Jackson’s multiple horn parts (most likely individually tracked in the studio, rather than played simultaneously) are tightly harmonized and thicken the mix, while Evans’ drumming alternates from machine gun snare bursts to piercing tom hits like a boxer working a heavy bag. Even on a shorter track like this (shorter being a bit of a misnomer, as “Lemmings” Is still well over 11 minutes long) VdGG works through a variety of styles and moods, leaving plenty of space for tension to build. The instrumental unison coming out of a lengthy ambient section, leading into Hammill’s “Yes, I know it's out of control,” is particularly tasty and worthy of comparison to some of Frank Zappa’s most enjoyable instrumental works. Virtuosos VdGG may have never been, but they could certainly rise to the occasion, and this piece is no small evidence of that. Van der Graaf Generator’s arrangement and take on the BBC One theme song, this is a jaunty instrumental that is nearly impossible to keep from humming along with. It’s uplifting, quick paced, and offers Banton and Jackson fans a chance to hear the two of them rocking out in a sort of slightly restrained VdGG manner. Tightly arranged and solidly performed, it’s one of a very few rays of light in an otherwise oppressive and foreboding album. Much like “Lemmings” earlier (and in some ways, “Plague” which follows), “Man-Erg” opens deceptively quietly, with gentle piano courtesy of Hugh Banton and the closest thing to straight, traditional vocals one will get from Peter Hammill on this album. Banton adds an organ line behind his piano theme, and as the rest of the band joins in, the track moves toward a mid tempo, anthemic mood. Lest one think it will continue along these lines, a schizoid, psychotic sax line launches out of nowhere, sending the band and song careening down nightmarish carnivalesque pathways. Hammill’s lyrics are simultaneously searching and lost as he sings of the characteristics of man; the good, the evil, and the human that lies in the balance between. The question, of course, is where the positivity comes from; has the protagonist/narrator found the light, or has he found peace through a final end. The lyrics are obtuse and do not offer immediate answers. 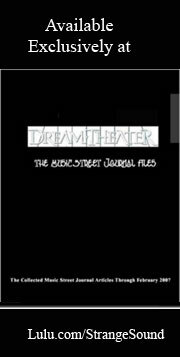 It is up to each listener to decide what has happened in the song, which is likely much the way Hammill would want it.